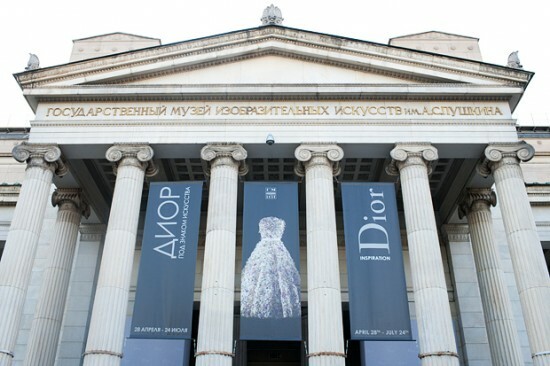 During first summer months Moscow hosted the exhibition “Inspiration Dior” . Goes without saying that I visited it. Some dresses in vintage Dior collections had names. So I decided to copy this and to name my new project :). 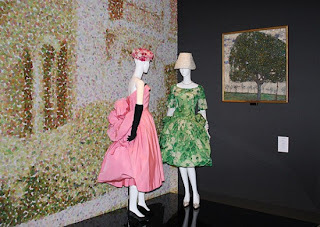 The name Salad Dress comes from one of the dresses at the exhibition (please forgive me, Mr. Dior). So here is my Salad dress from July issue of Burda magazine. The camera didn't capture the true colour. In reality it is light yellowish green. I cut size 19 petite (means 38 regular) and I feel comfortable in it but when I look at the picture I see that the top looks baggy. 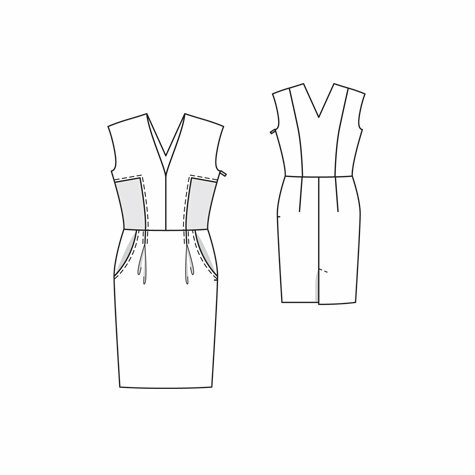 Again I am struggling with Burda measurements. Good news is that is the first time when I am really happy with making the invisible zipper. Seems I finally managed to become friends with that special invisible zipper foot. It was not a smooth sewing though. Initially I wanted to make very simple solid colour dress using this pattern. But then I decided that it will be too simple and chose another pattern. Now I regret of not going with my first intention. 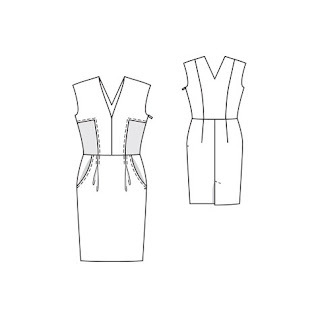 Still have a desire to make light solid colour dress in a very simple cut. My second choice was this dress. I wanted to make it since it has been published in 2010 but couldn't find fabric that would drape well. I tried this fabric and it seemed that it would work. I cut out back and front pieces of the dress, basted and tried it on, and it looked like a maternity dress. Not an effect I wanted to get :/. Since the fabric had been cut already I had a choice either to put it in a trash bin or to try to rescue it with some other pattern. So the choice of the pattern was somehow limited. I managed to squeeze this pattern in previously cut pieces of fabric and in what remained uncut. It is a petit pattern so I lengthened the top a couple of centimeters. Now I doubt the necessity of doing this. Otherwise made no alterations, just added lining to the skirt since the fabric wrinkles easily. 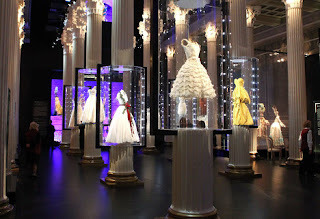 One more picture from Dior exhibition that I would like to share. 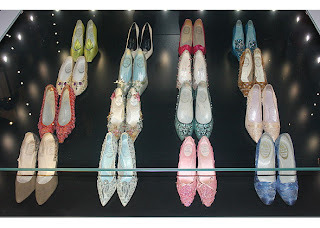 Shoes collection, I would wear any pair of these beautiful shoes anytime :). The green ones at the top left would suit my new dress ;). 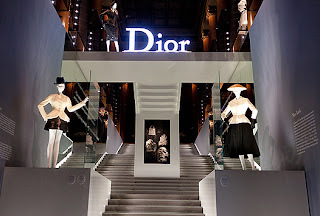 oh,... wie ich Dich um den Besuch der Dior-Ausstellung beneide- soviel Inspiration! Die Schuhe würde ich auch sofort alle in meinen Schrank stellen- ein Traum jeder Frau ;-). 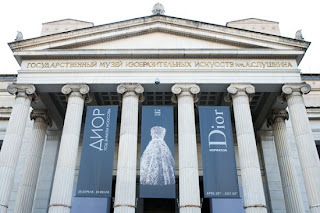 Das Kleid ist sehr chic! Zum Glück konntest Du noch ein anderes Muster dafür verwenden und der Stoff ist nicht in die Mülltonne gewandert. 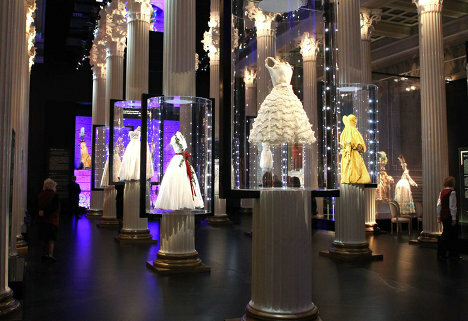 How lucky you are to have visited the Dior exhibition. 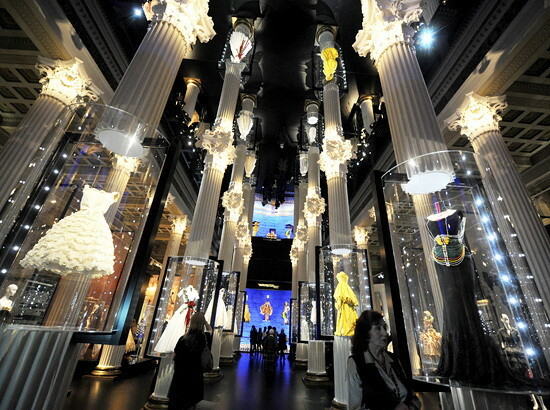 The setting is beautiful. I love your dress and I am glad I can see what it looks like on a real person as I want to make it. I think I will use black linen but you choice is excellent and looks very classy. I love the white dress too and still hoping to make it for next week as a quick project. The Dior exhibit looks like it would have been wonderfully inspiring. Neat that it included shoes as well. Your "salad" dress looks very cool and chic. That dress pattern was one of my favorites from that issue.